(Pregnancy Help News) Remember that time when a news outlet funded by Big Abortion did real investigation and cited credible statistics? 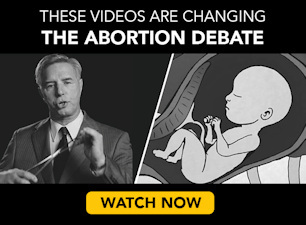 Our “friends” at RH Reality Check – RH standing for “Reproductive Health,” a euphemism for all things abortion – have recently rebranded themselves as “Rewire” to create an atmosphere of legitimacy for their biased advocacy for abortion, and related ideologies. Their championing of abortion has, in recent years, included an assault on pregnancy centers. With some sleight of hand, yellow journalistic techniques, you’re supposed to believe that CPCs are not really making a difference, and yet soaking up life-minded dollars to do so. But the very existence of the article suggests exactly the opposite. If CPCs are so “bad at dissuading people seeking abortion” why run the article at all? Why not just let these “anti-choice” hicks spend their money uselessly on ineffective outreach? Yet, Big Abortion, via Rewire, has put time, talent (in propaganda, not journalism), and treasure, into intentionally discrediting the good work of pregnancy help centers. With abortion numbers declining and more states discontinuing funding for the largest abortion provider, Planned Parenthood, it only makes sense to lash out at their primary competition. Namely, life-affirming pregnancy help organizations that provide their services at no cost to that woman in need. It’s true that not every encounter leads to a successful outcome – if we only count babies or lives “saved.” But in reality the encounter itself – or the faithfulness to be there for her (or him) in the “valley of decision” regarding life and death – is a success in itself. It is enough to be and speak for the Giver of Life and champion the Gift of Life. In truth, we haven’t “saved” any babies. The mothers do that. We only help her understand the reality of the life within, and the consequences she’s considering. Jor-El Godsey is president of Heartbeat International, the world’s largest network of pregnancy help, with over 2,000 locations of life-affirming pregnancy centers, medical clinics, nonprofit adoption agencies and maternity homes worldwide. Editor’s Note: This article was originally posted by Pregnancy Help News on May 11, 2016, and is reprinted here with permission.